Following in the footsteps of famed explorers such as Lawrence of Arabia and Wilfred Thesiger, British explorer Levison Wood brings us along on his most complex expedition yet: a circumnavigation of the Arabian Peninsula. Starting in September 2017 in a city in Northern Syria, a stone's throw away from Turkey and amidst the deadliest war of the twenty-first century, Wood set forth on a 5,000-mile trek through the most contested region on the planet. He moved through the Middle East for six months, from ISIS-occupied Iraq through Kuwait and along the jagged coastlines of the Emirates and Oman; across a civil-war-torn Yemen and on to Saudia Arabia, Jordan, and Israel, before ending on the shores of the Mediterranean in Lebanon. Like his predecessors, Wood traveled through some of the harshest and most beautiful environments on earth, seeking to challenge our perceptions of this often-misunderstood part of the world. 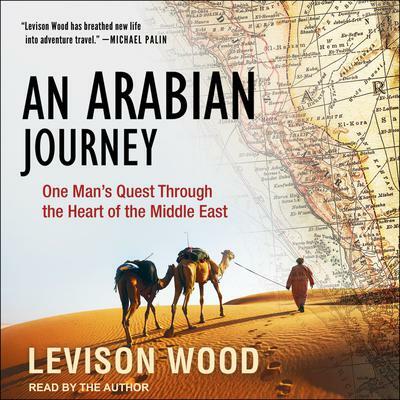 Through the relationships he forges along the way—and the personal histories and local mythologies that his companions share—Wood examines how the region has changed over thousands of years and reveals a side of the Middle East we don't often see in the media.